Always bet on Team Cyanogen to come up with a superior feature to Google. 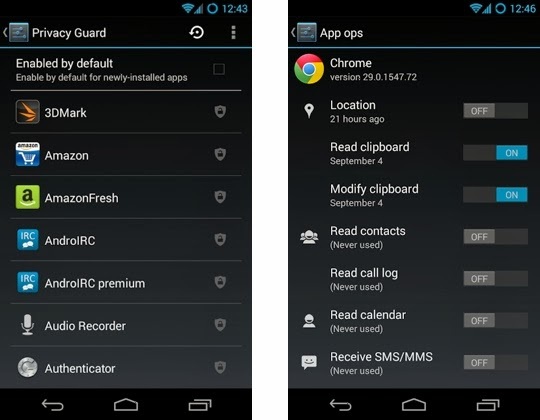 The Google had introduced a feature called App Ops Permission Manager in Android 4.3 version released a few weeks earlier. The App Ops Permission Manager basically lets the user set permission for individual Apps as per their preference. The "Permission Manager" App is already available on the Google Play Store and works only on Android 4.3. The team Cyanogen has come up with a similar feature and has named it "Privacy Guard" but as of now this feature was not available for all CyanogenMods. However today the CyanogenMod Google Plus post stated that they have merged an update to Privacy Guard for 10.2 code that implements AppOps. # Single click any app from the main PG UI to instantly toggle on/off permissions for Location, Reading Contacts, Reading Call Log, Reading Calendar and SMS/MMS. # Long press any app from the main PG UI to see all currently used permissions and their on/off status. Tapping the app name from this view will take you to the App Info screen. # A new 'Advanced' menu item allows quick access to the native AppOps UI (normally hidden). # A notification will appear whenever you are using an app that has a permission denied. 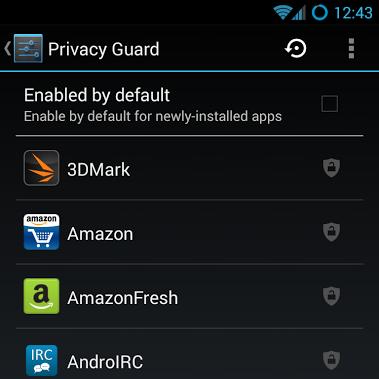 # Privacy Guard can be enabled by default for all newly installed apps. This will block the Location, Reading Contacts, Reading Call Log, Reading Calendar and SMS/MMS permissions. # Filter to show/hide system apps from main UI view. # A quick scroll list view by alphabet, with disabled apps shown at the bottom.